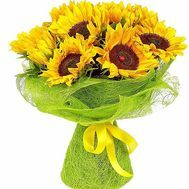 Bouquets with a sunflower are a sunny and bright gift that is able to smile and bring happiness at any time of the year. 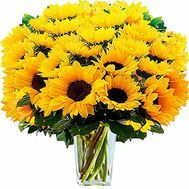 A bouquet of bright sunflowers has long been considered curative, precisely because of its ability to increase tone and return a good mood. 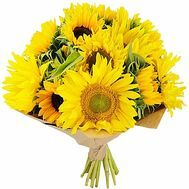 Even a small bouquet of bright sunflowers, according to the theories of Feng Shui, is capable of bringing positive energy to life and directing all forces to achieve goals. 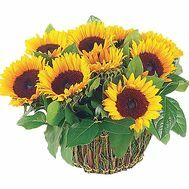 One of the meanings of sunflower is prosperity and wealth, and therefore give it to people mostly creative and creative. 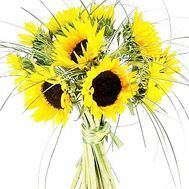 It is also suitable for those who have lost optimism or are experiencing difficulties in life, inspiring confidence and calm in them. 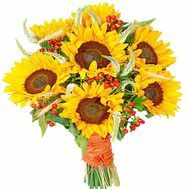 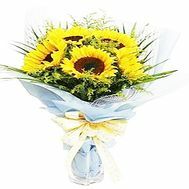 To give a bouquet with sunflowers is worth your sister's birthday, favorably emphasizing the joy of this day. 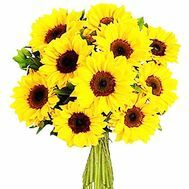 Also such a bouquet or a composition with a sun flower will be an excellent additional gift for the wedding of your friends, emphasizing the status of their relationship and the sunshine of the event. 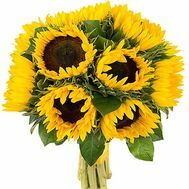 Order a bouquet with sunflowers from us, and our couriers will deliver flowers in a matter of hours, bringing joy and happiness to everyone.! 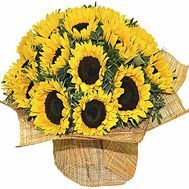 In our flower shop you can always find democratic prices, pleasant discounts and various promotions, as well as read reviews of our customers. 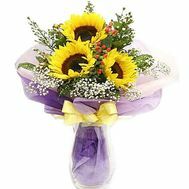 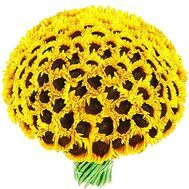 To order beautiful sunflowers means to give a piece of sun and light to every house and soul of the required recipient!